The return of our popular open exhibition showcasing the exceptional breadth of artistic talent on our doorstep. This exhibition brings together the best artists and makers from across the East Sussex region – from Rye to Brighton and Hove. 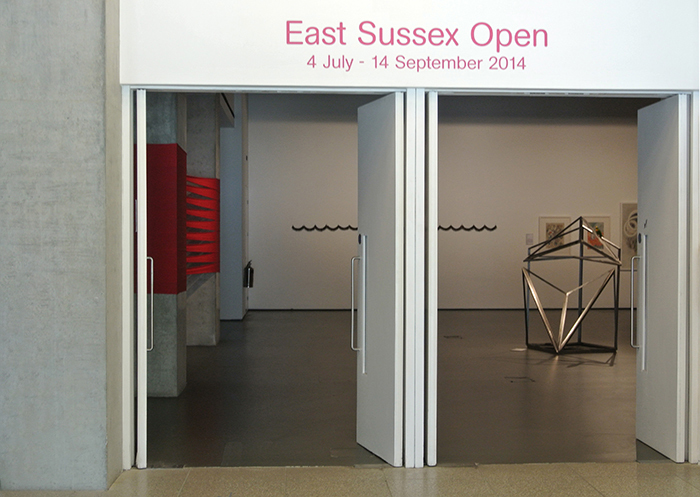 With works in every medium, from small scale paintings to large scale installations, the East Sussex Open never fails to delight and inspire! Joining our Exhibitions Curator Sanna Moore on the 2014 judging panel are guest selectors, Matthew Cornford, Professor of Fine Art, University of Brighton (and one half of artist duo Cornford & Cross) and Hastings based artist Becky Beasley, whose work has been exhibited extensively in the UK and internationally.